Readily available khari biscuits make a great base for these dainty, delectable tarts. 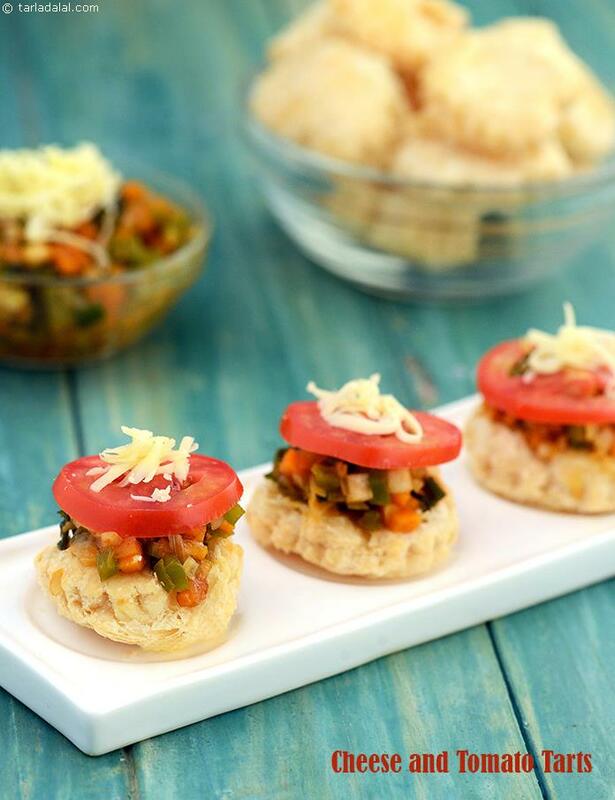 With a nice topping of vegetables, tomato, cheese and oregano, they make ideal, non-messy finger foods. Just serve them and watch your kids enjoy it all by themselves.